I AM deeply saddened that my dear friend, Jamie McGrigor, long-standing MSP for the Highlands and Islands, has ­decided to step down at the next election. I have known Jamie for over 15 years and count him as one of Britain’s most dedicated politicians. 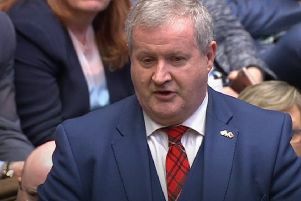 Passionate about the people and area he represents, he is assiduous in his contributions to the Scottish Parliament, and in his determination to hold ministers to account to get the best deal for his constituents, particularly those in fishing communities. At 65, he is too young to call it a day. I’m sure he will still contribute enormously to public service in Scotland. We need more of his kind.